I wanted a simple corn and black bean salad, but was out of black beans and so this came up! I think I like it better than a plain corn and bean salad. The Olive-Tofu Ricotta for the pasta is a very easy variation on the one I regularly make, and today I did a ravioli and tortellini. Put mushrooms in a separate smaller baking pan and add about 1/4 c or less tamari/soy sauce, and drizzle with olive oil. Let mushrooms, corn, and onion bake for 1 hour. Remove from oven, cool completely and chill completely. 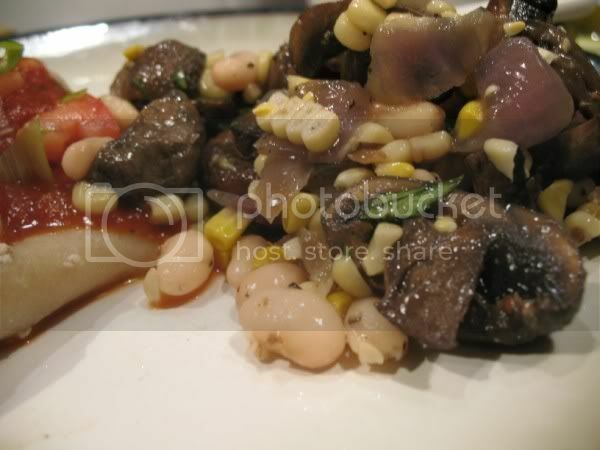 Cut mushrooms in 1/2, and cut the corn kernels off the ears. 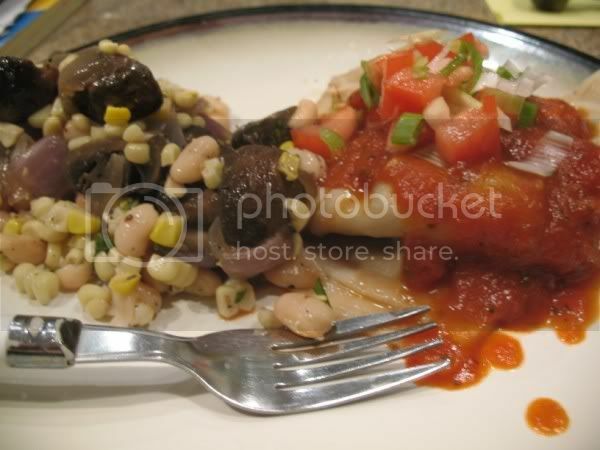 Place onions, cut corn, and mushrooms in a bowl. Add remaining ingredients and chill further. Serve with entree and enjoy! This is pretty much entirely Crystal's dough recipe, I just substituted some of the flour for whole wheat pastry flour. 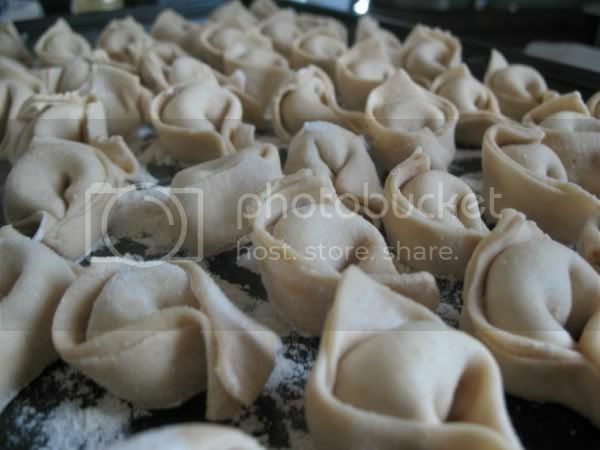 You can do tortellini or ravioli easily. 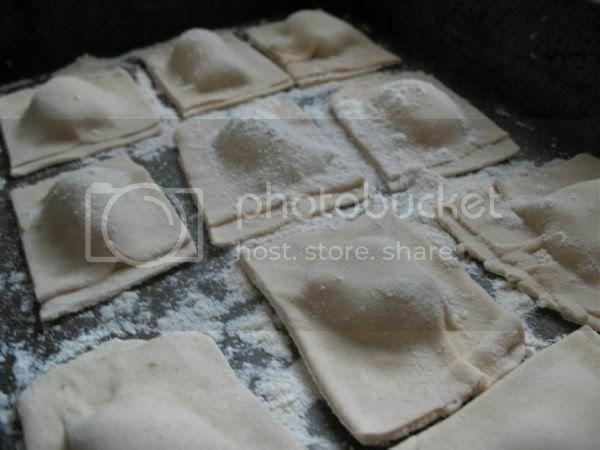 If doing ravioli, be careful and make them small. The large ones break really easily. 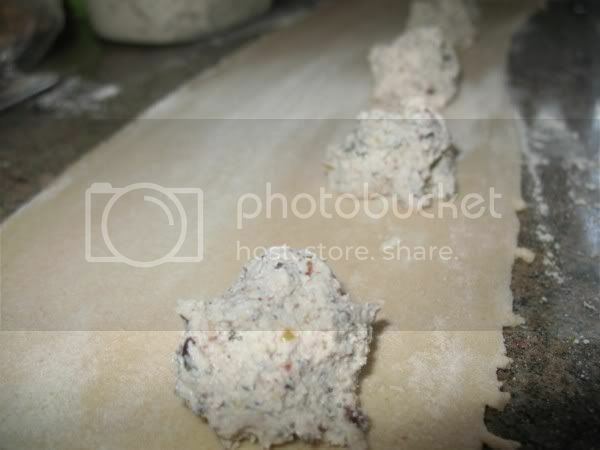 You can possibly do a fettuccine with a pasta roller; I haven't tried that yet. Sift flour and salt into a bowl. Mix all other ingredients together in a small bowl. Make a little hole in the center of the flour and pour in liquids. Bring together with a fork or your hands and knead until flour comes together. Wrap in plastic and let sit for 1 hour. I refrigerated mine and it still came out fine. I rolled to a 5 on my pasta roller. Dough will seem rough at first. You will have to roll on level 1 3-4 times. After this, keep rolling on to 2, then 3, then 4, then 5. Process all ingredients in food processor until smooth but not soupy. Tastes best when chilled for at least 1 hour. olive ricotta - mmmmm! and isn't homemade pasta the best thing ever!?! 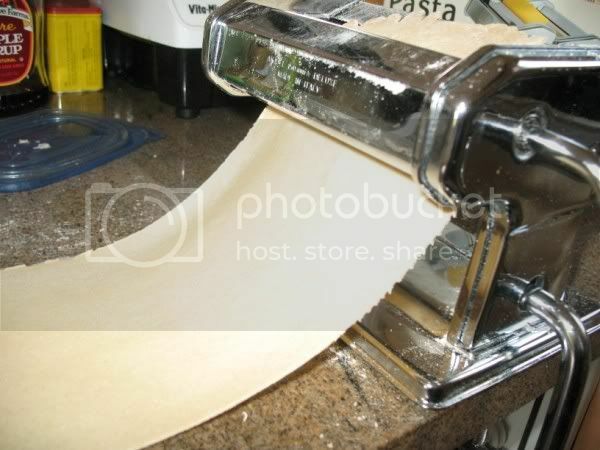 dan & i don't have a pasta maker yet (we roll ours out by hand for now) - but maybe someday we'll invest in one.